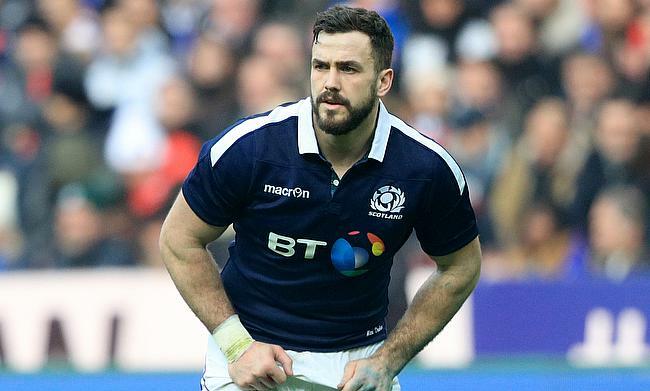 Newcastle Falcons have confirmed the signing of Scotland international Alex Dunbar from Glasgow Warriors on loan for the remainder of the season. Dunbar has been with Glasgow Warriors since 2009 and has racked up over 100 appearances for the Scotstoun Ground outfit since then including 92 games in Pro14. However, he has made just eight appearances for the club this season. “Alex is a very experienced operator at the top level who will help give us the strength and quality we need during the back half of the Gallagher Premiership season," Newcastle Falcons director of rugby Dean Richards told the official website of Newcastle Falcons. Dunbar's debut for Scotland came in 2013 and has gone on to play 31 Tests for the Dark Blues with his last appearance coming during the November series last year. “Coming down to Newcastle for the rest of the season gives me a great opportunity to play some rugby, and I’m excited by the prospects here," the Scotland international said.